Solar panel installer becoming the fastest-growing job in 8 states, and wind turbine service technician becoming popular job in 4 states. When you look beyond green job, the map below contains some surprises. The gambling industry is the fastest-growing industry in New York and animal trainer is the fastest-growing job in Oregon. 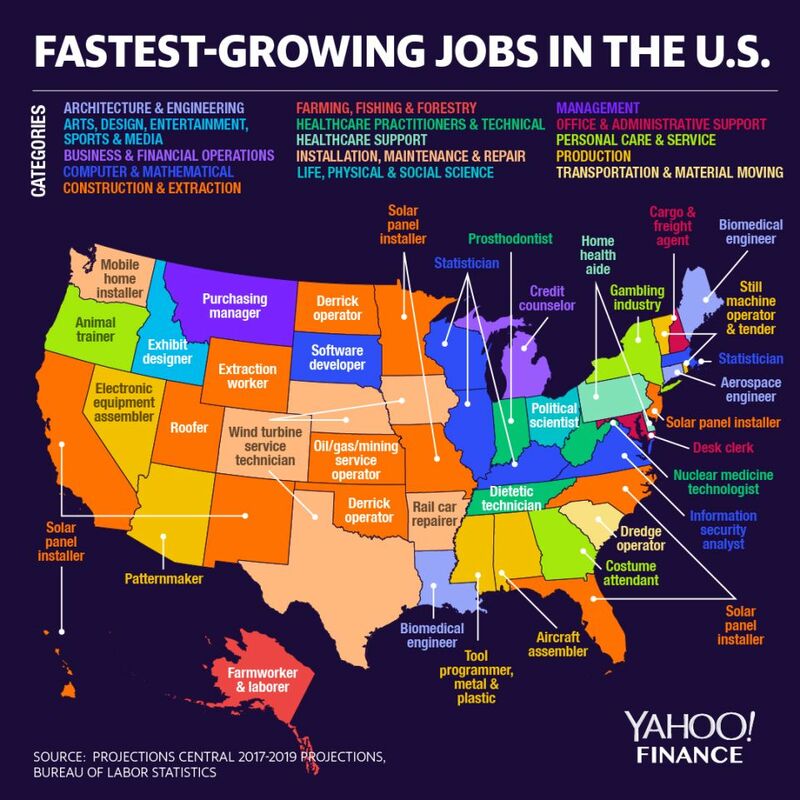 Top 5 fastest-growing jobs in the U.S.